BONN, Germany, November 5, 2017 (ENS) – One year after the entry into force of the Paris Agreement on climate change, the United Nations’ Bonn Climate Conference opening on Monday, will be a chance for nations to showcase their climate actions and their determination to keep their promises. The Paris Agreement, adopted by the 196 Parties to the UNFCCC in December 2015 in the French capital after which it is named, calls on countries to combat climate change by limiting the rise of global temperature below 2 degrees Celsius and, if possible, below 1.5 degrees Celsius more than pre-industrial levels. These goals appear increasingly difficult to achieve. Last week, the World Meteorological Organization announced that atmospheric levels of the greenhouse gas carbon dioxide, CO2, had surged at “record-breaking speed” to new highs in 2016. 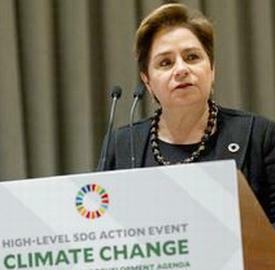 “While Paris represented one of those moments where the best of humanity achieved an agreement so important to our collective futures, Bonn represents how we will move forward to fulfill its promise,” said the Executive Secretary of United Nations Framework Convention on Climate Change, UNFCCC, Patricia Espinosa of Brazil, on the margins of a ministerial meeting in Fiji on October 17 to prepare for the Bonn Conference of the Convention’s States Parties. “We are running out of time to turn things around. To do so, we must significantly increase our efforts to reduce emissions and our carbon footprints,” she said. At the Bonn Conference, the 23rd conference of the Parties to the UNFCCC, known as COP 23, countries will seek to move forward in completing the rule book for operationalizing the Paris Agreement. The Conference, which runs until November 17, is chaired by Fiji, an island State already affected by the impacts of climate change. “Never has our work been more necessary. We see this with respect to the extreme weather events affecting almost every continent throughout the world,” said Espinosa. Although the United States formally approved the Paris Agreement on climate last year under President Barack Obama, the current president, Donald Trump, a climate denier, has said he would pull the country out of the agreement. Yet, the latest U.S. government assessment, issued late last week, concludes, based on extensive evidence, “that it is extremely likely that human activities, especially emissions of greenhouse gases, are the dominant cause of the observed warming since the mid-20th century. For the warming over the last century, there is no convincing alternative explanation supported by the extent of the observational evidence,” states the U.S. 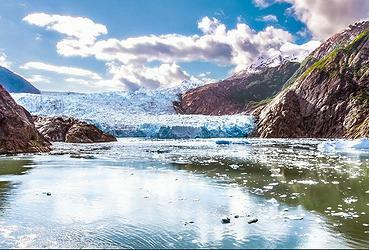 Global Change Research Program Climate Science Special Report. “Global annually averaged surface air temperature has increased by about 1.8°F (1.0°C) over the last 115 years (1901–2016). This period is now the warmest in the history of modern civilization,” states the U.S. government report, based on the findings of more than a dozen federal agencies. 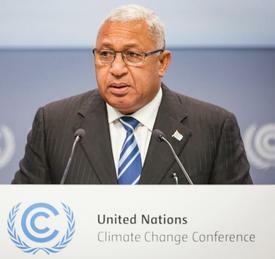 COP 23 President and Fiji Prime Minister Frank Bainimarama warned, “We can no longer ignore this crisis. Whether it is fires in California, Portugal and Spain; flooding in Nigeria, India and Bangladesh; the dramatic Arctic melt; ice breaking off the continent of Antarctica; The recent hurricanes that devastated the Caribbean and the southern United States … It’s hard to find any part of the world that is unaffected by these events,” he said at the ministerial meeting in Fiji. The Bonn Conference will feature a series of meetings and events, including the high-level segment, on November 15 and 16, which will be attended by heads of state and government, ministers, and UN Secretary-General António Guterres. 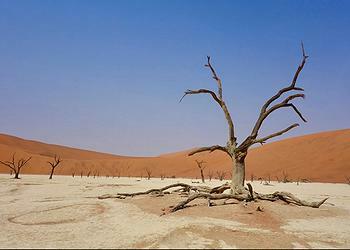 Guterres has invited world leaders to consider championing six high-impact areas at a special Climate Summit in 2019. “Increasing ambition is the only way to keep the global temperature rise well below 2 degrees Celsius this century, and as close to 1.5 degree as possible. By focusing on these sectors, we can substantially reduce the gap between where we are and where we need to be,” said UN Deputy Secretary-General Amina Mohammed at the pre-COP meeting in Fiji. Among the side events scheduled at COP 23, several will be organized under the Marrakech Partnership for Global Climate Action to show how cities, regions, private sector companies and investors are working to implement the Paris Agreement in the areas of energy, water, agriculture, oceans and coastal areas, human settlements, transportation, industry, and forests.